Spirituality is not a stagnant idea of the past; it is ever new, reinventing itself, without losing its glorious essence. 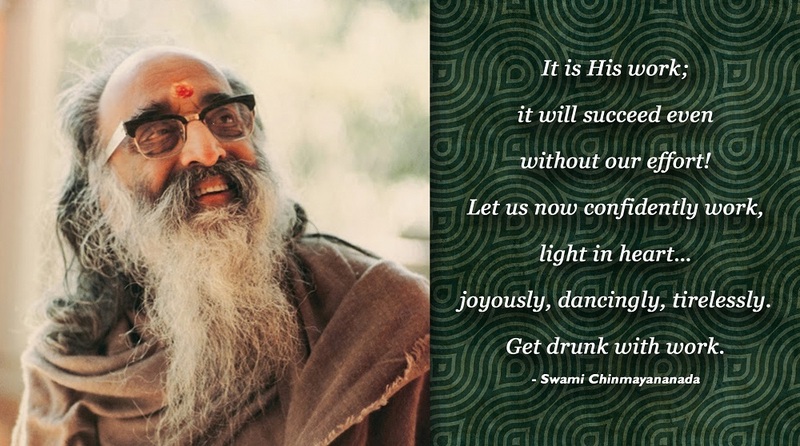 The great visionary Swami Chinmayananda led a spiritual renaissance, gifting the world access to the ancient wisdom of the Upanishads packaged in a way that speaks to the modern man. 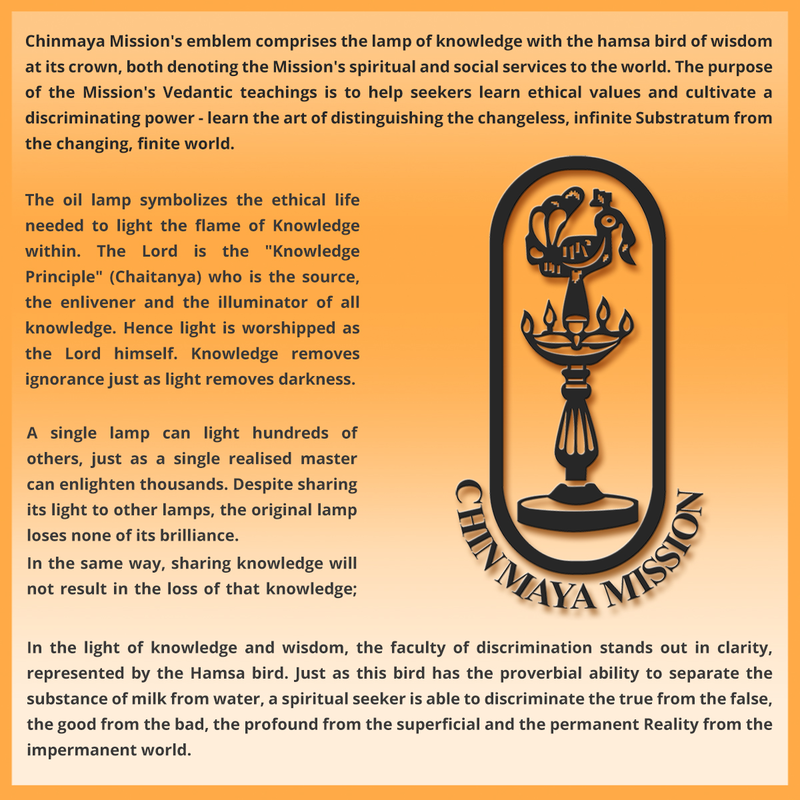 The Chinmaya Mission was founded in 1953, with the primary aim to spread the wisdom of Vedanta to any seeker, of any nationality, caste or group, to enrich and enable them become positive contributors to society. Inspired by Swami Chinmayananda when Chinmaya Mission was formed, it changed the way people thought about spirituality. He set millions on personal journey of inner transformation, leading the clarion call of his evolutionary message, awakening the people from all walks of life. 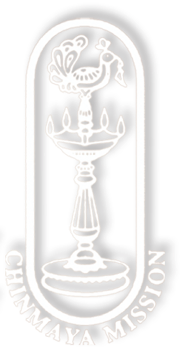 From regular classes to intellectual seminars and discourses, to academic research, value-based schools, medical projects, and rural development, the Chinmaya Movement is Knowledge, Service, and Devotion in action. 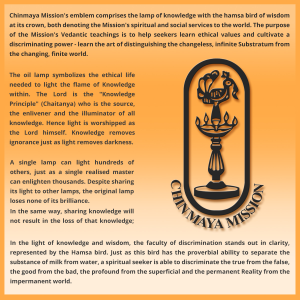 The Chinmaya Mission today, through its numerous centres worldwide, is spreading the knowledge of Vedanta, thus contributing substantially to the rejuvenation of India’s ancient philosophy, while simultaneously nourishing the minds of people in society. As an extension of its purpose, the Chinmaya Mission is also actively engaged in social services, focusing specially on the disadvantaged and underprivileged. Thousands of people benefit from the Mission’s numerous projects in education, health, village upliftment and environment regeneration. After his Mahasamadhi in 1993, Pujya Gurudev Swami Chinmayananda passed the torch of his mission to his beloved disciple Swami Tejomayananda. Ever since, the Chinmaya Mission has flourished in leaps and bounds under the dynamic visionary guidance of Pujya Guruji Swami Tejomayananda. After leading the Mission for 23 years in an exemplary manner, Pujya Guruji recently anointed Swami Swaroopananda ji as the Mukhya Swami and official Head of Chinmaya Mission worldwide. The Chinmaya movement now encompasses a wide range of spiritual, educational, medical, social and charitable activities enriching the lives of thousands of people in India and abroad. “Giving maximum happiness to maximum people for maximum time” is the inspirational motto of Chinmaya Mission, which aims at uplifting people beyond selfish sectarian and parochial attitudes and activities, weaving them into a seamless world nourished by Vedantic wisdom.